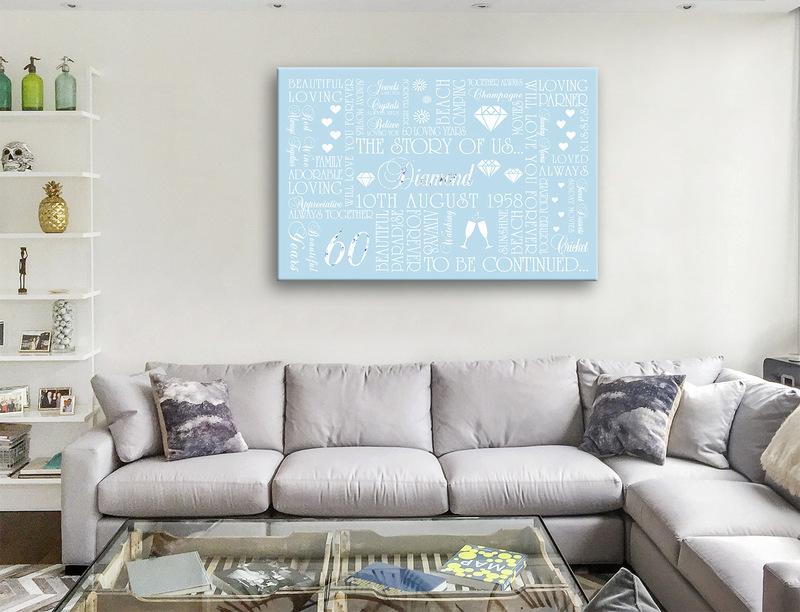 60th Diamond Wedding Anniversary Present Art Word Art Unique Romantic Gift Idea. 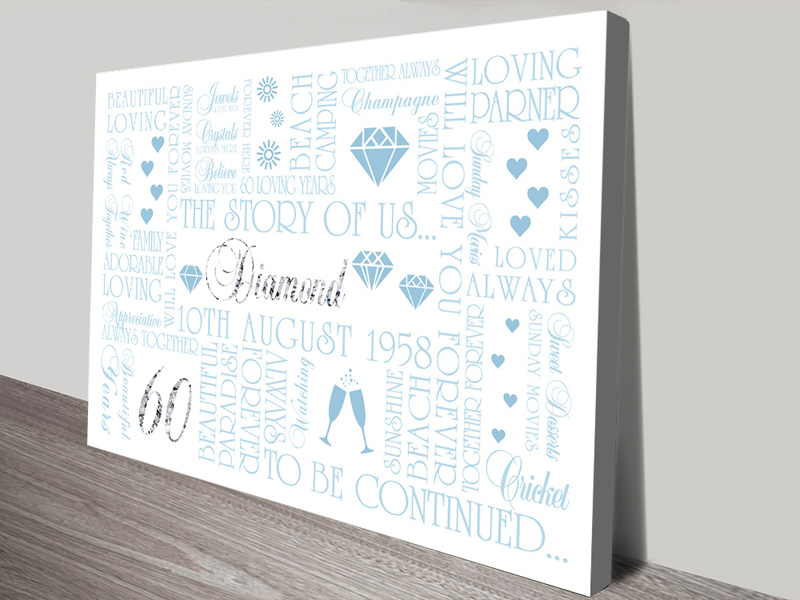 This elegant bespoke design is one of a new range of artworks created specifically for the anniversary themes/colours, diamond is the colour for the big 60. 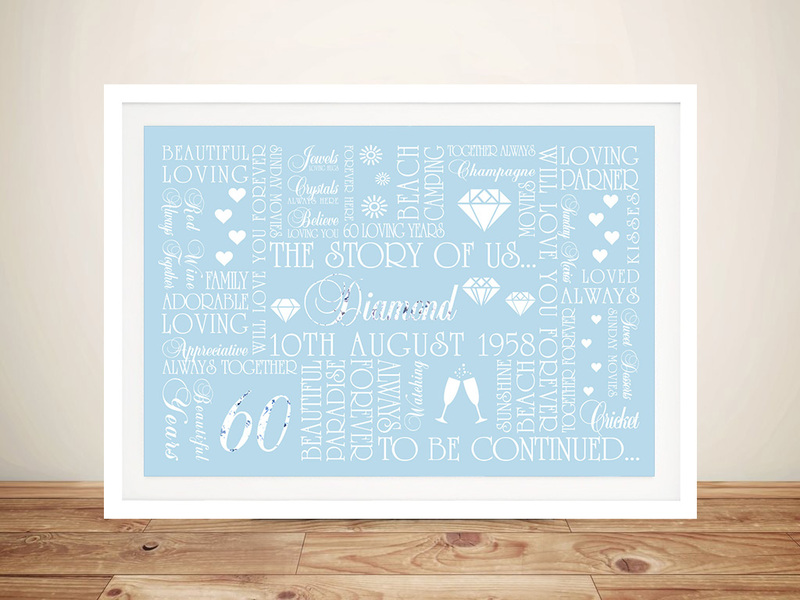 We recommend 30 to 60 words for this design.